A few weeks ago, I showed you some digital line experiments that I was doing. Well, here is the inspiration behind those experiments! We visited Hawai'i in February (no, I haven't shared the photos yet...you didn't miss it, although I did tell you about Kimura Fabrics!) and I got obsessed with lava while we were there. Actually, I think I was obsessed with it before we even went, but my obsession strengthened and spread. There are two types of lava: pahoehoe (pa-hoy-hoy) and a'a (ah ah). 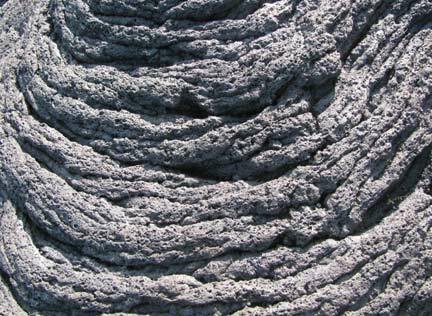 Pahoehoe is the flowy type and a'a is broken up and granular. 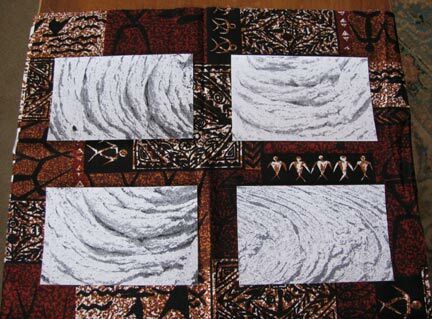 I took lots of shots of lava textures while I was there (getting some strange looks from people as you can imagine), and I chose 4 close ups of pahoehoe to use as the centerpieces for a new quilt. 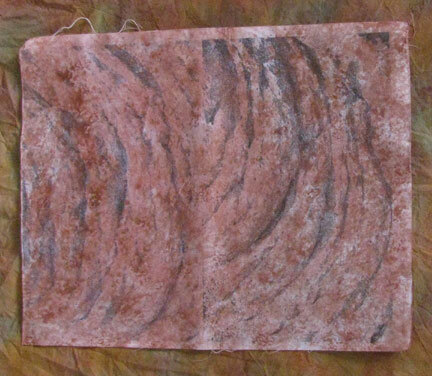 My plan was to use some of the fabrics from Kimura for the background. I've often said here that even my "best" plans don't usually go according to. So I thought I'd prove it to you by sharing most of my missteps as I show you how this quilt was constructed. 1. Size to 5 1/4 x 8 1/4 at 300 dpi. Two can fit on each sheet. 5. Levels adjustment layer - blow it out. 6. Flatten image, redo levels if needed. And of course, I painted all FOUR of them! Stupid, stupid, stupid. 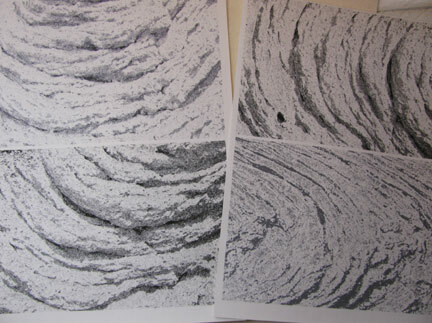 Two cotton inkjet sheets wasted (well, set aside for possibly something in the future that has to do with tigers...). Next week, things begin to go better, but still not perfect! I'm sorry, Cyndi. I too hate to ruin good (pricey) art supplies. 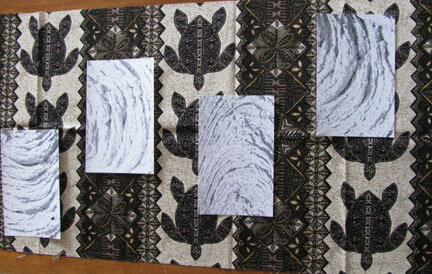 I really like the idea of a lava patterned quilt. Can't wait to see what yu come up with.